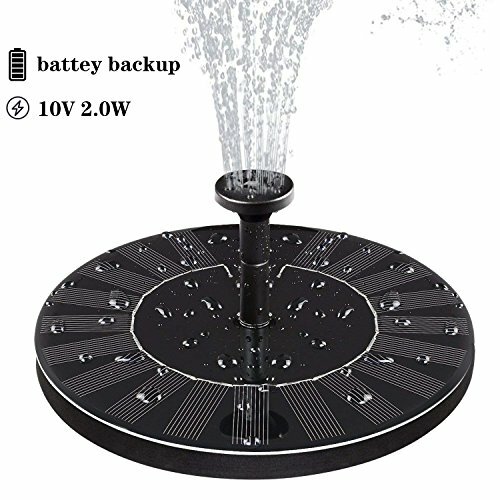 ✪VARIOUS FOUNTAIN PATTERN OPTIONS AND EASY TO USE : There are 4 different types nozzle Choose the right nozzle , put the pump into the water. Once the solar panel gain sunlight, it will run automatically within a 3 seconds. ✪WIDE RANGE OF APPLICATION: The size is reasonable, is small perfect for bird bath, fish tank, small pond, pool, garden, water circulation for oxygen. If you have any questions about this product by AMYER, contact us by completing and submitting the form below. If you are looking for a specif part number, please include it with your message.